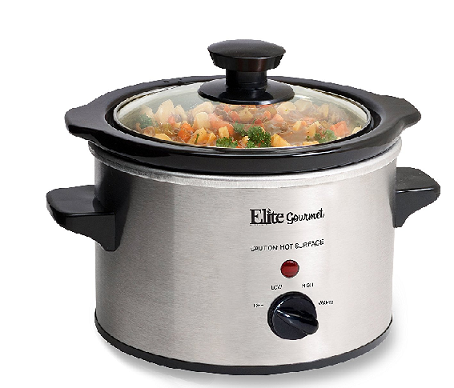 The Elite Gourmet 1.5 Quart Slow Cooker isn’t the most advanced slow cooker on the market, but it doesn’t need to be. 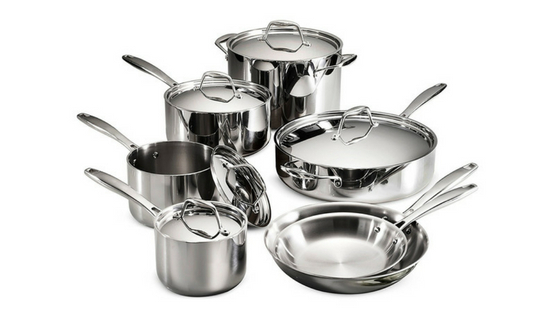 With a couple of cooking settings and distinct shape, people can’t seem to get enough of the Elite Gourmet. 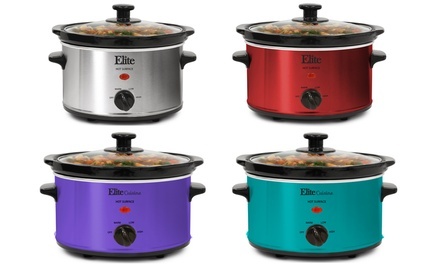 The Elite Gourmet has a taller and narrower construction than most slow cookers. It doesn’t require the elongated oval shape base because it’s only 1.5-quart capacity. The base measures 10″x7″x7.5″, and won’t take up very much space on your countertop or drawers. Both the stoneware insert and the glass lid are dishwasher safe. The lid sits below the rim of the insert, providing a comfortable seal for temperature retention. Silver is the only color this 1.5-quart cooker comes in. 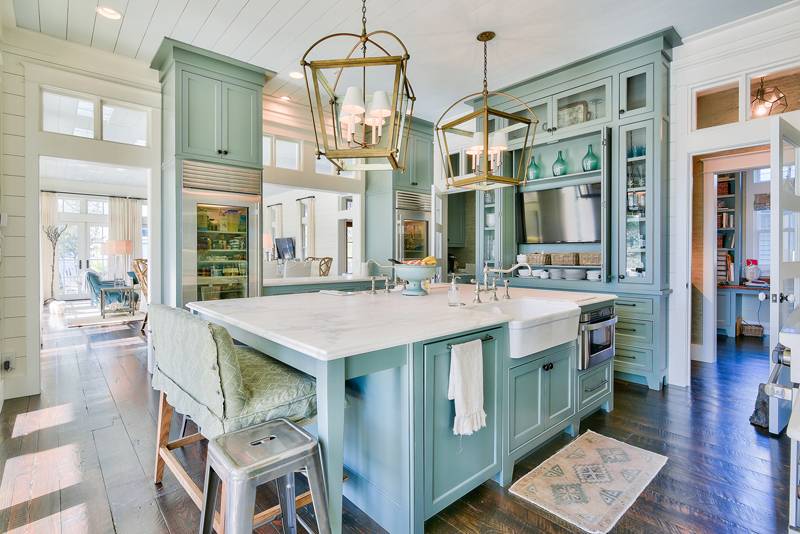 If you want a different color to go with your kitchen decor, you’ll have to upgrade to 2 or 3-quart capacity. These 2 and 3-quart cookers aren’t too much different from the 1.5 quarts. They have the same settings and directional knob but feature a more ovular shape. We enjoy the fact that the Elite Gourmet is so simple to operate. For a singular person or small family, it saves money and still cooks delicious meals. The Elite Gourmet has three simple settings-low, high, and warm. These settings are common across smaller and cheaper cookers with a directional knob to switch between them. With other smaller slow cookers, you’ll have to judge the time that’s passed (or set a timer). The Elite Gourmet has a simple red light that turns on when that specific cooking setting is completed. The smaller capacity has no effect on the Elite Gourmet’s cooking ability. This trusty appliance will cook anything from pot roast to rice pudding under the right setting. While running any of the temperature settings, the cooker uses 120 watts of power. Even under the stress of that amount of power, the knobs and handles are still cool to the touch. The biggest incentive to purchase the Elite Gourmet is the price. You could literally pick this cooker up with the cash in your wallet. Don’t let its low price fool you, it’s a very reliable machine. 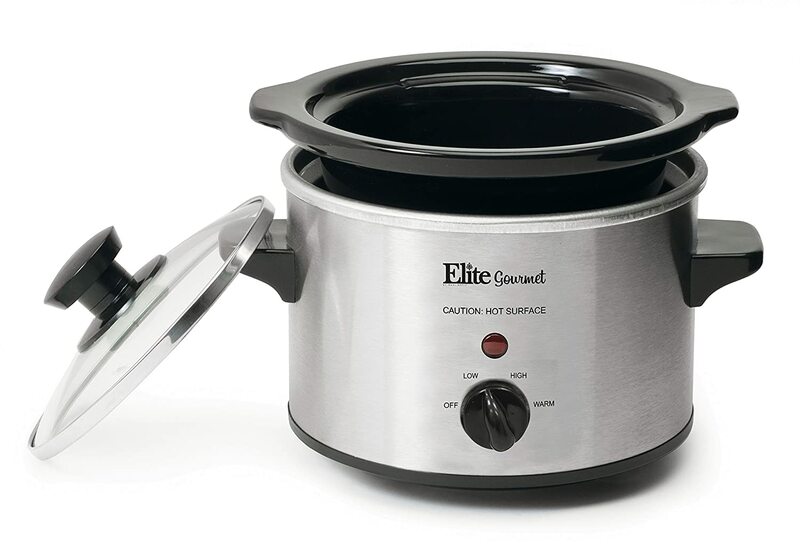 Many of the Elite Gourmet’s customers have remarked about its ability to retain a steady temperature increase over the course of the cooking cycle. For a cheap and simple slow cooker, that’s saying a lot. Slow cookers that sport advanced features are plagued by temperature problems. While not exactly a complaint, the 1.5 quart capacity of the Elite Gourmet limits its cooking potential for larger families and parties. Since there’s no way to switch off the cooker while you’re away from it, you have to be present around the time you want to complete the cooking. Some people have commented that if you run the cooker for too long, the heat becomes unbearable. If you’re looking for some real simplicity with your cooking, seriously consider adding the Elite Gourmet to your arsenal of appliances.